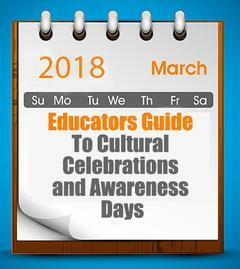 What cultural days and awareness days will your service be involved in this Month? March is a busy month for celebrations and awareness days that may be relevant to children and families in your service. 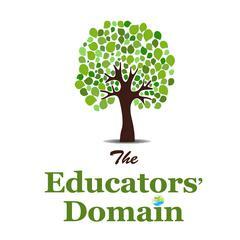 These special days can be used to bring people together, to create a feeling of belonging and to develop a sense of community amongst families, educators and children. Below is a list of some of the special days in March that you may want to think about incorporating, plus a list of the packs we have available for each one to help you document these experiences. Scroll all the way down to see our special offer to cover all of these..
March is National Epilepsy Awareness Month. Be part of the movement and help spread the word by wearing purple on March 26th. (26 March Purple Day) Have a look at our Epilepsy Awareness Month pack to document your purple day activities. Saint Patrick's Day, or the Feast of Saint Patrick, "the Day of the Festival of Patrick"), is a cultural and religious celebration held on 17 March, the traditional death date of Saint Patrick the foremost patron saint of Ireland. We have several packs including packs to document your experiences, a program pack as well as decorations for your service. Celebrate the cultures within you service over this week. Have a look at our Cultural Diversity Pack to document your learning. Despite all of the priceless ecological, economic, social and health benefits, we are destroying the very forests we need to survive. Global deforestation continues at an alarming rate. Document all of your Environmental Experiences and Nature Experiences with these packs. World Meteorological Day is a commemoration of the day the World Meteorological Organisation was formed in 1950. Set up some extra special weather learning experiences today. We have a Weather pack to document and display your learning for all seasons. Earth Hour is an international sustainability movement, where individuals and businesses are encouraged to turn off all lights for an hour. Earth Hour aims to increase awareness of the impact we have on our world through the use of fossil fuels and electricity. Neighbour Day is Australia's annual celebration of community held on the last Sunday in March every year. Its aim is to encourage closer, friendlier relationships between neighbours and to strengthen communities. What involvement do you have in your community? Document all of your community involvement, excursions and visitors with this pack. You can document all your Easter learning with this pack, plus this pack has a collection of activity ideas.